We’d love your help. Let us know what’s wrong with this preview of Chasing After Him by Lynn Burke. Charlene Tucker is driven to achieve her goal of becoming a pediatrician, but her rigorous schedule is beating her down. She needs a break from academia, and perhaps pursuing a one-night stand with her hot Italian neighbor will help her relax and re-focus. Theo Risso enjoys being in control. Tying women up and having them at his mercy is his ultimate obsession. Flirting wi Charlene Tucker is driven to achieve her goal of becoming a pediatrician, but her rigorous schedule is beating her down. She needs a break from academia, and perhaps pursuing a one-night stand with her hot Italian neighbor will help her relax and re-focus. Theo Risso enjoys being in control. Tying women up and having them at his mercy is his ultimate obsession. Flirting with Charlene stimulates and challenges his carefree attitude, but his determination to be a good neighbor subjugates his need to dominate her. 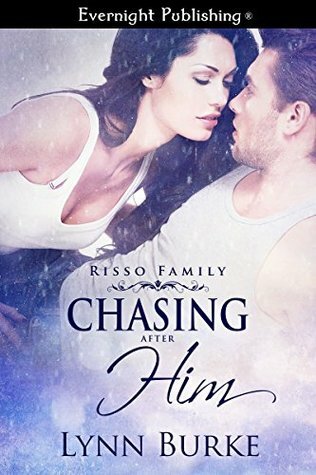 To ask other readers questions about Chasing After Him, please sign up. Me gustaron los dos personajes. Theo por su deseo de hacer las cosas bien. Charlene por su perseverancia. Lynn Burke is a full time mother, voracious gardener, and scribbler of spicy romance stories. A country bumpkin turned Bay Stater, she enjoys her chowdah and Dunkin Donuts when not trying to escape the reality of city life.